The carefree lifestyle of decorated cereal boxes that don’t flash the word FIBER across the front to lure in adults and other boring people. The wonderment of the latest toy craze. The magic of simplicity, like swinging on a swing and not feeling like you’re going to toss the cookies you had at lunch. There are rewards of ice cream and early bedtime. There are naps. But there’s also the fact that kids can presumably act like a grown up and be fairly cute about it. Kind of like those old painting where animals are playing poker or shooting pool. Totally unrealistic and yet so comical because they are trying so hard to be like us, but they are so very far away. That’s what my daughter has become. Not a bulldog shooting the eight ball in the corner pocket. She’s become a wanna-be adult. Two very important phrases come to mind when I think of her five-year old brain and what it must be going through. The first phrase is: actually. So I get to spend my days blushing and shaking my head when this cute little blonde haired girl says things like, “no offense, but that lady’s outfit is really ugly.” And the lady in question is well within earshot. I glance over at her and offer an apologetic grin hoping that she didn’t quite hear that correctly or that she thinks my kid is being funny, when I notice that my daughter was actually right. The lady was indeed wearing rather hideous looking clothes. And that right there is the other main reason I want to be a kid. Kids are honest. They say it like they see. They see the world through truthful eyes and let those truths come out of their little sticky mouths and remind us, now and then, that honesty is the best policy. They also remind us that we should check our clothes in the mirror once in a while, taste the food we serve our family and our guests, and that 8:30 means 8:30. No offense, but actually, they’re pretty smart. I’m a snooze-aholic. I’m the person who purposely sets her alarm clock nine or eighteen minutes before I really need to get up so that I can have the pleasure of smacking that button on the top of my clock with the force of a freight train coming down a mountain before rolling back over and snuggling into the warm blankets. Somehow, in my weary mind, I feel that I am tricking my body into thinking that I’m doing something really nice for it. It’s the equivalent of knowing that you’re going to eat an entire pie, but you just serve yourself one sliver at a time, purposely allowing yourself the treat and the lack of self-restraint. Because when it comes to pie and sleep, I have little self-restraint. Which is why I’m so deeply in love with my snooze button. And which is also why, I know now, that I stumble around for the first fifteen minutes of my day, walking in circles and doing things I have no recollection of because my body does not like the snooze button as much as my mind does. There will be days when I have to stop and think and try to remember if I ate breakfast because I literally don’t remember what I did when I first woke up. Sometimes I even have to look at the bread bin to see if there is a missing bagel. How I manage to make a pot of coffee in this state of mind every day without burning down the house is itself a miracle. Turns out that snoozy habit of mine is doing more harm than good. In a perfect world, or on the weekends when there are no soccer games or theater rehearsals, our bodies have little internal clocks that tell us to wake up. They get all primed and ready about an hour before our eyes pop open and little chemicals are released that wakes us up happy, ready to start the day, and able to remember if we consumed toast. But the world is not perfect, and there are lunches to be packed and jobs to be done and so we rely on these mechanical devices to rouse us out of our sleep, no matter if our body is ready or not. 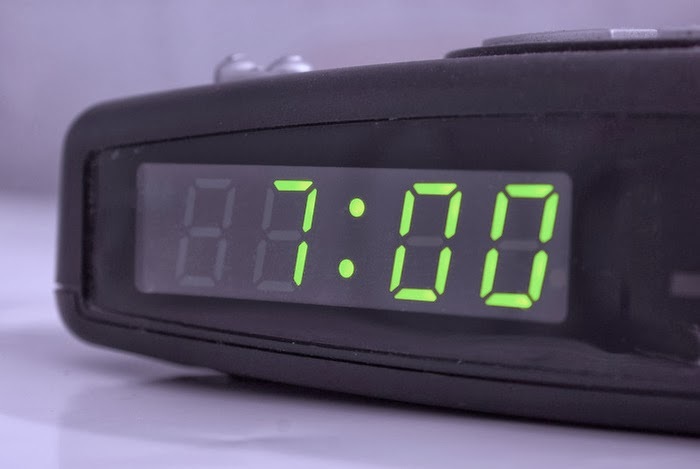 When we hit the snooze button, though, there’s a chance our bodies will reset and fall back into the deepest of sleeps so that nine minutes later when it goes back off you find yourself slapping your nightstand and then standing in your bathroom wondering how you got there. I’m going with the last one. So if at 6:00 AM one morning you hear the faint sounds of a saxophone coming from my house, do not panic. I’m simply trying to remember if I enjoyed that bagel or not. Endnote: Ever wonder why snooze alarms are only nine minutes? It’s a feature of the digital age. 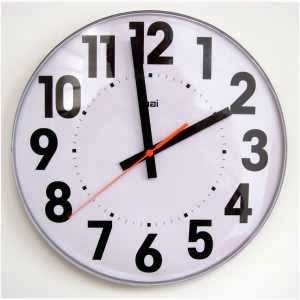 The clock only has to concentrate on the minute hand. Ain’t got time for more math, I guess. In perfect world, I would listen to the quiet sounds of jazz music while I prepared a nutritious evening meal. My children, numbering three, would each take a specific task to help organize our dining experience: one would get the plates, one would arrange the silverware, and the third would place perfectly folded napkins next to each setting. 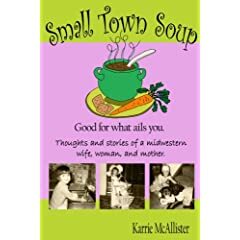 My husband would put down the newspaper and join us at the table for a healthy dose of food, laughter, and family time. But in reality, we spend 50% of our time eating from a paper bag before or after a sports or music practice, 30% of the time grabbing some sort of leftovers and shoving them in our face as fast as possible, 20% eating so late we are exhausted and staying awake is the main objective, and 10% of the time actually attempting the family dinner meal. Of that measly 10%, 90% of the time someone forgets the napkins. I usually get blamed, as mothers often do, and so I leave my warm food to gather them from the cupboard. And every time I do this, I find myself going through the same motions. I pick up a large stack of napkins, and flip through them to count: one, two, three, four, five. One for each member of my family. But it wasn’t always like this, of course. When I was growing up, it was just my mom and dad and I and our napkins numbered three. When my husband started joining us more and more for meals, suddenly the number became four which was but a temporary increase, because soon enough he proposed and we married and I began setting the table with only two napkins. Soon after that it was three. And I know in my heart of hearts, that despite the picky eaters and food battles, the spills and the seconds and requests for a bowl of plain noodles, I love counting out those five napkins. Even if it’s a leftover night standing at the counter and not a roast chicken with homemade mashed potatoes, five napkins are still pretty great. Sometimes we only have four, when a child is off at a friend’s house or my husband travels for work. 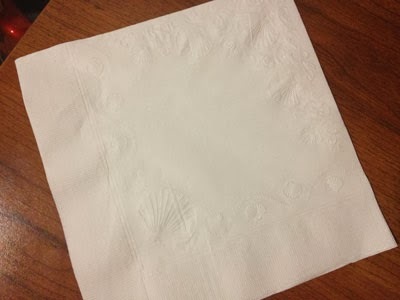 Even more rare, practically non-existent, is a mere two napkins for an in-house date night. Conversely, sometimes we count out seven napkins and have to pull in an extra chair for grandparent company, which is only beat out by big family gathering when napkin need is grossly outnumbered by the amount of folding chairs that we own. But still, I know I am truly fortunate when I count out five. I never thought that something so simple, such a menial daily task could make such a difference in my life, but the older I get the more important I realize these things are. Maybe it’s the fact that I do it so often, flipping through that stack and thumbing out one for each member of my family, that it has been so easily overlooked for so long. As I sit back and watch my children get older, I realize that my days of setting five napkins are numbered. The teen years send them spinning in a million directions, and soon enough they will trickle off to college or adulthood and I’ll watch my number of napkins drop. And on those days when we gather and I am lucky enough to count out five napkins again, I will cherish every flip of my thumb and treat each one as the blessing that it truly is. If the blessings continue, maybe someday I’ll have the pleasure of counting out eight or ten or twelve napkins. I’d even make roast chicken and homemade mashed potatoes for that. Not everyone likes country music, and I can appreciate that. I know that plenty of people out there actually will go as far as to say they despise it, that they would rather listen to a crying baby run its fingernails down a chalkboard and operate a leaf blower at the same time, probably the way I personally feel about certain types of music. But for me, I love country music. I always have, thanks to my dad and his collection of Willie, Merle, and Johnny, and I always will. All country music involves a dying dog. FALSE. However, there are a few songs that do mention the passing of a worthy hound, some that will even remind you of Old Yeller and choke you up a bit. All country music must include something about “mama.” FALSE. Although there are plenty of songs that mention somebody’s mama, I can assure you that in country music, being a mama is something to be proud of. With a few exceptions, mama is always someone you’d want to meet. All country music has a steady rhythm and you could do the Boot Scootin’ Boogie to anything you might hear on the radio. FALSE. Please don’t try to line dance to every country song. You will embarrass yourself and most likely your children. The truth about country music, or at least why I love it so much, is that those artists are the great storytellers of our time. From folk to bluegrass to mainstream country, each of the artists does more than just sing a song and strum a few chords. They share simple emotions that connect with the listener, emotions that they may have felt if they had just lost a dog or hugged a mama. If you’ve ever been sad, mad, happy, lonely, hurt, in love, cheated on, cheated with, lied, lied to, poor, rich, hitched, divorced, young, old, or stuck somewhere in the middle, country music has a song for you. Country music still has style and class. TRUE. How many other types of music will you see where performers still dress up in glamorous dresses and suits and ties? Seems some recent performers have been choosing to wear the absolute opposite. Country music is fun to sing along with. TRUE. The roots of this music are not based on complicated chords like diminished augmented sevenths. It serves it’s purpose by giving you something to tap your foot along with and keeps it basic enough so by the end of the song, you’ve got the chorus down pat. The fancy stuff? Save that for the steel guitar and honkytonk piano breaks. Country music makes you proud to be an American, and a hard working one at that. TRUE. You’d be hard pressed to find any other music out there that still celebrates the freedom our country has, and even more hard pressed to find music that tells about how we got here. From the steel mills to the battlefields, the slow strum of an acoustic guitar tells the tales of the everyday American man. All in all, I admit that sometimes it gets me right in the back of the throat so much that I almost need to tip my hat and cover my eyes before I two-step on to the next song. When’s the last time you stepped into something fairly uncomfortable? And no, I’m not talking about skinny jeans or platform heels. That’s just ridiciulous. I’m talking about stepping out of your comfort zone and spicing things up a little, maybe taking a break from the chicken noodle soup of life and straight into a hot tamale. For me, we’ll say it was late July. For those who know me now, you might be surprised to find out that I was indeed a very shy child. I hated doing anything in front of anyone, blushed at the drop of a hat, and was perfectly fine staying at home instead of out socializing because I was afraid no one would like me or I’d do something stupid or generally embarrass myself more than I did usually, which was fairly frequent. Ask my parents. They’ll shake their heads and tell you it’s true. I dabbled in theater in high school but was always content to work backstage or hide behind my instrument in the accompanying pit band. I had one role onstage, but was beyond nervous the entire time and hoped that no one could see my gigantic sweat stains from the audience. But recently my children decided to give community theater a try, and as I sat there watching them on stage, I couldn’t help but think to myself that they were having way too much fun. Fun I wanted to have. I think I even got a little jealous of them. So I gathered my nerves and auditioned for the next production the theater company was putting on, and by some miracle of miracles, was given a part in the play. From there on out it has been a wild ride. I kind of see it as one of the funny videos you see on TV where there’s a little kid or an old lady, and she steps onto a trampoline. At first, she is quite tentative. She slowly steps and slowly bounces, and through a series of nerve building jumps, ends up bouncing as high as possible and maybe even throwing in some backflips, and never wants her turn to end. I had no idea that doing this play would be “backflip” fun, but it is. There are lines and props and costumes and lights and some really great people up on stage and behind the director’s table. In a world that seems to be dominated by wins and losses, it’s refreshing to see people come together for neither a win nor a loss, just plain teamwork. 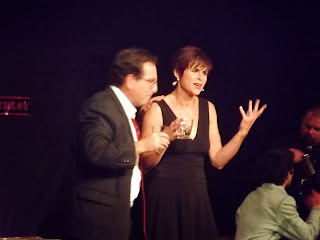 On stage, there are no points. No one calls a foul or gets benched. We all just work together to make it the best show that we possibly can. And besides that being generally a cool concept, it also makes the whole bit of trying something completely new a little easier. And more wonderful. I survived all six shows. In heels. And apparently a "trashy" dress according to one audience member. house enjoying the peace and accomplishing tasks. I turn on either the television to a show that is not animated or music of my own liking, or sometimes I just turn everything off and scare myself silly at the silence because it’s not something I have heard in many months. This year, I did just that. I turned off all noises and sipped tea in the kitchen while sorting though a pile of mail that had been accumulating since May and I heard the strangest sound: the clock that hangs on the wall. My grandmother bought me the simple clock when we moved into our house over eight years ago, but I swear I never knew it actually made noise. I thought it was some new-fangled fancy clock that had moving parts but didn’t tick-tock like clocks normally do, but I was completely wrong. The clock makes noise. I was floored. I nearly spit tea out on the overdue bills. It was this quiet, creepy rhythm that was telling me to take advantage of the freedom from the noises and distractions and constant messes and to finally do something monumental and, as far as housework goes, colossal. It was telling me to embrace the fact I now had the opportunity to do all of those things I had wanted to do over the summer when I was convinced I would have more time, which I didn’t. So I did what any mother feeling a taste of freedom would do: I cleaned my office closet. My office closet is the place is kind of like the black hole of all things junky, and I have been working on this massive collection for eight years. It is where I have put things that had no place, that couldn’t be classified into any sort of realistic category other than junk or general miscellany. Any time something would break, I would think to myself, “maybe I could use these parts for something,” and stick it in my closet. If there was an odd button or piece of string or even a piece of scrap granite countertop I found when they were building a house down the road, I would say, “this would be just perfect for a craft project,” and put it in my closet. But my closet is only so large, and even at it’s full capacity it isn’t big enough to hold all of the ideas in my head. So I had to sit down, in the peace of my own home with the clock ticking away in the background, and sift through unfinished projects and memories. Some things were easy. Forty thousand finger-painted masterpieces were easy to decide upon, and that piece of granite found its way out the back door. Pieces parts were tossed and various items were combined to make for the illusion of neatness. But all the memories were too much to handle and in between ticks and tocks I cursed my own sentimental self and packed them all away into boxes where they will be neatly storied in the basement until further notice. Something tells me that there will come a day when the clock ticking won’t only happen in late August, and I’ll have all the time in the world to sort through my so-called junk. And I’ll love every minute of it. I tell this story not because you, the reader, really cares about my son’s eyewear, but rather because it’s a glimpse into the reality that is, well, life. And try as we may, life is everywhere and no matter who you are, you’re aren’t alone. Also, it’s a shout out to TV sitcoms, may they rest in peace. But TV sitcoms are few and far between these days, with the birth of reality television, which, c’mon, isn’t all that real after all. Somehow, producers think we would rather stare at people eating jungle plants or going crazy living in a house of strangers than laugh at our own plain, boring lives. Fortunately, there’s still a few sitcoms holding on, and even some that are family friendly enough for my kids to watch. Which is just what makes this story so funny. In a recent TV show, the dad took the son clothes shopping and accidentally purchased him a shirt from the girl’s department. The boy then wore the shirt to school, was ridiculed, and in payback made his father wear a women’s shirt to bowling night. Classic humor, and it didn’t go unnoticed by my children who revel in slapstick comedy and large men with floral flowing blouses. To set the scene, we were out and about and it was very sunny. I try to equip my family with sunglasses to protect their eyes from the sun, but they are notorious for losing, scratching, breaking, or somehow completely destroying them. The last pair of sunglasses I bought my son were about as cheap as they come, which is good because right at this very moment, they are laying at the bottom of the Colorado River, just south of the Glen Canyon Dam where the water is always a balmy 47 degrees. He owned them for two days. So when it came to purchase him another inexpensive pair, I rushed through the bargain shelf at the store to find something comparable. Sure, there were sporty looking glasses and tough-guy looking glasses. I wasn’t sure which ones to choose until I came across a pair of camouflage shades which I knew would be perfect—no one, not even the duck hunters on reality television shows, wears as much camo as my kid. Quickly throwing them in the cart, I smiled because I knew he would just love them. In my mind, I saw green camo and thought they would have a masculine flair. Instead, there were little metallic decorative studs that were situated in exactly the same place as they were on his sister’s glasses. I tried to smooth things over, tell him that they weren’t girly and certainly looked nice on him and boost up their camouflage power. But from the instant he put them on, I couldn’t say a single word with a straight face. Just like the TV show. Our silly little story is the same is theirs, proving that our crazy is really just a taste of normal. And just like the show, there is payback involved. So if you see me walking past wearing some children’s camo sunglasses with decorative metal studs, don’t wave. Just giggle. I am writing today not really to complain, but more to express some deep concern for your lack of spontaneity and those who enjoy it. You see, I myself am a last-minute shopper. I don’t internally have the capability to plan far in advance, nor do I have the desire. I’m a self-proclaimed shopping-hater because I don’t care for crowds of people, standing in line, spending money, or carts that have completely wonky wheels so that walking in a straight line is impossible. But still, as a consumer, I have needs. And because my children continue to grow, they have multiple needs in multiple sizes. And because the seasons continue to change, my whole life has ever-changing needs, which brings me to the main point of this eloquently worded letter containing a plethora of large vocabulary. At the time of this writing, it is late summer and as a family we are squeezing the last bits out of our sunblock and bug spray and attempting to avoid the inevitable return of school and all that comes with it. And despite our best efforts at ignoring it, we find ourselves staring eye-to-eye with the start of a new school year which requires new clothes, various school supplies, more sleep, and a personal secretary to keep paperwork and activities organized. But really, for the time being, we need scissors and notebooks and underwear that fit and pants without holes, stuff to pack lunches and some party music for mom to celebrate with when the kids are all finally back in class. So upon entering various stores for these obvious essentials, I am disappointed to find the aisles filled with Halloween candy and a section of Christmas trees and other festive accouterments gracing your place of retail. For real. Christmas trees and Halloween candy. I just want a pair of Fiskars and an unbroken box of crayons. And there are barely any left. It seems to me that in your attempt to please the over-prepared and extremely organized people, you have forgotten to tap into an entire different set of consumers: the last-minute shopper, or as I like to call myself, the “Carpe Diem Shopper,” who lives each day as it comes, not four months in advance. I cannot fathom thinking about Halloween until late October, and Christmas doesn’t even cross my mind until the day after Thanksgiving, the way the Pilgrims intended it. It would not surprise me if come early December I trot off to your store for trimmings and find myself having to decorate my tree with Easter grass instead of tinsel. But despite the bashing, I would like to offer you a solution, something that wouldn’t be very expensive and still supply the masses with the things they need as the year goes on. My solution is: a calendar. You may even sell them yourself, or chances are you got at least one free one in the mail or from your bank. I would like to suggest one that is organized by month with seasonally appropriate pictures of cute little kittens or dogs, whatever your preference, so that you can be reminded of the needs that last-minute people have at any given time of the year. Is it August? Sell some pencils. October? Candy. November? Turkey decorations. December? Ornaments. It’s not rocket science, although I’m afraid that’s what it takes to stay ahead of your stocking schedule. I, for one, would be very appreciative if you offered appropriate items and didn’t rush the season or shove holidays down my throat before their time. 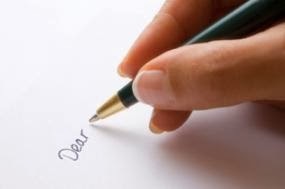 Making me think about Christmas presents when I am hunting for a bathing suit gets me a little fired up, even fired up enough to sit down and pen this letter. Call me irrational, call me impulsive, call me crazy. Just cater to me a little bit, please. I beg of you. Ps. It would be really nice if it were all on sale, too. In recent days, my household life has been dominated by laundry, mostly in the form of a dryer that had finally dried up. After nearly 14 years and three houses, it was beyond repair and I couldn’t fathom stringing our socks across the back porch another day. Finally we broke down and had to buy another one, which came delivered to my door and my children stood staring at the truck until one of them broke the silence. And I haven’t seen my children since. The magic of the giant cardboard box is nothing new. I’m pretty sure I spent at least four years of my childhood hanging out in one, either drawing flowers on the outside of my house or serving tea to my stuffed animals. My houses or rocketships or ticket booths or restaurants took up the main living spaces of my parent’s house until they moved it to another room, then to the basement, then to the garage, until one day I would wake up and my beloved playhouse was gone and I’d cry and stalk the neighborhood on trash night in hopes of finding another. Three full size washer or dryer boxes are nothing to shake a stick at, so when I turned around to find them all scattered throughout my family room, I immediately froze. And then I listened to the incredible harmony that ended up being my children as they shared markers and helped each other cut windows and garage doors, build porches and fully supply their new abodes. Later that day, I had to leave to run errands while my husband was in charge. Upon returning, he met me outside. “You’ll never believe this. I told them to go play in their boxes and they’ve been in there for an hour. Without fighting. For an hour. I’m not even lying.” The look on his face was as if he’d just witnessed a miracle. I nearly had to slap him back to reality. The truth is that there isn’t much better than a kid in a box. We as parents know that nine times out of ten, if you buy a kid a big toy they will end up enjoying the box more than the actual gift. Back when I was young, we would scour the neighborhood for appliance boxes on trash night because even if you have to dig it out of someone’s garbage, the box is a mighty thing. Maybe it’s the unbridled creativity that ensues when a kid is given a box. My own three children did completely different things. My youngest made a beauty salon where you can get a haircut (and a discount coupon for restaurant night, from the latest advertisement I heard). My oldest made the sweetest little cottage where I find her curled up with a book. My son of course made a “bro cave” with lanterns, a stash of candy, and a direct view of the TV. I think there’s real peace for a child knowing they can create a world of whatever they really want, to design their own dreams in a place big enough for only them. So many of the things children see nowadays are 100% virtual. There are virtual pets and virtual worlds and virtual bedrooms. Time and time again they have designed things on the computer screen that they will never be able to touch or color or cut or just feel with their own hands. The beauty of the cardboard box might even be more so now than it was thirty years ago, and fill a void in a creative child’s world that no digital programming could ever accomplish. Or maybe they just want to draw on the walls. Seasonally speaking, summer is one of my top favorite times of the year. When the sun first starts shining and the woods and world turn green again, I am at my happiest. And then comes the second half of summer when I start itching. When you hang out in the out-of-doors as much as I do, there’s a good chance you also have a stock pile of anti-itch creams, gels, and sprays forever within reach. If it isn’t poison ivy or some other unidentified plant rash, it’s the ever hated and cursed mosquito, which lately seems has taken over as Ohio’s state bird. My clever uncle swears the best way to avoid mosquito bites is to sucker someone else into eating a ripe banana, the logic being that the poor person will attract them all and he will walk away bite-free. But in the end, current science debunks all of these old wives tales, and I have the perfect and completely safe solution to beat the skeeters this summer. The little ladies are picky in their blood types, and prefer type O blood. A Japapnese study found that people with type O are twice as likely to be the lucky winners. 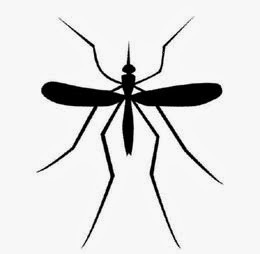 And while they will choose most anyone, mosquitos seek out pregnant woman because their skin is more moist and usually just a tad warmer. Not only that, but they also seem to be attracted the greater exhalation of carbon dioxide in the pregnant woman. And finally, our blood-sucking female mosquito friends seem to have a thing for dark colored clothing. The study states that black or red are their favorite colors and if you are wearing light khaki, green, or yellow you are mostly in the clear. Put on your favorite yellow outfit and stand next to a pregnant lady wearing all black and a guy with smelly feet drinking beer. Problem solved, case closed, bite-free. My appliances are trying to get me. I think they’re angry because all summer long, when we’re all home all day every day, we use them a lot. Also because I spend so much time cursing my dishwasher and my entire laundry room in general. As a mom and CHO (chief household officer,) I spend a decent portion of my day playing a never-ending and not-so-fun game of catch up. As soon as I finish the laundry, it’s piled up again. Finish the dishes? The sink is full. Go grocery shopping? The troops are hungry. I often feel like a hamster on a torturous wheel where my children sit outside the plastic cage and laugh and giggle and change their clothes and ask for snacks because they absolutely delight in watching their mom go bonkers. But now it seems that the house is trying to get me back for all the grumbling I do as I go about my day. The first bit of bad luck happened after an apparent allergic reaction to a popular brand of rubber shoes, which doesn’t really matter in the story except that after too many hours on the internet, I decided that the safest thing to do was to sterilize all of our rubber shoes in the dishwasher. I will be the first to tell you I often complain when I wash the dishes. It seems that no matter how many times I remind my family, they still think it’s necessary to take a separate glass with each sip thereby filling up the entire dishwasher before lunch. But it has great accolades, too. So when I went to disinfect our shoes, I carefully set them all in the top rack, turned it on, and walked away. “I’m washing our shoes!” I yelled to my husband as I walked out the door. “OK!” he yelled back and didn’t bother to tell me he hit the “high temperature scrub” button to make sure everything that shouldn’t be there wouldn’t be there. And here’s where the dishwasher started the attack on me, or at least my shoes. All of our shoes were just a little bit smaller when the cycle finished. At least a size or two. And I’m pretty sure it chuckled at me just a little when I handed over my favorite shoes to my daughter, and she handed hers to her younger sister. Then, the next week, my dryer broke. If you’ve ever experienced this horror, maybe you know how I felt. Like a fish without a fin, like a hot dog without mustard, like a morning without a coffee. Helpless. There was underwear strung from every apparatus in the backyard on any given day until the dryer was apparently fixed by the repairman. But yesterday was the grand winner of all chicken dinners. The dryer broke again. This time, it did more than just stop working. It was more of an, “honey, I smell something funny, like someone threw wet socks on the fire” kind of a breakdown. And that’s when the house completely started to attack because later that very same day, my son was told to take a pair of my socks (which had dried outside on the back porch) up the stairs to my bedroom but instead decided to throw them up as far as he could and they landed in the chandelier. Instead of my children dangling over the railing to their perilous doom, I told them I would get my socks later. At some point, flipped on the light switch and the chandelier began to cook my socks, or more truthfully, melt them to the light bulb on which it rested. And as I dangled from the railing myself, trying to pry my melted socks from the light bulb of the chandelier, I could only think that if my sandals wouldn’t have melted, I would have been sockless to begin with.